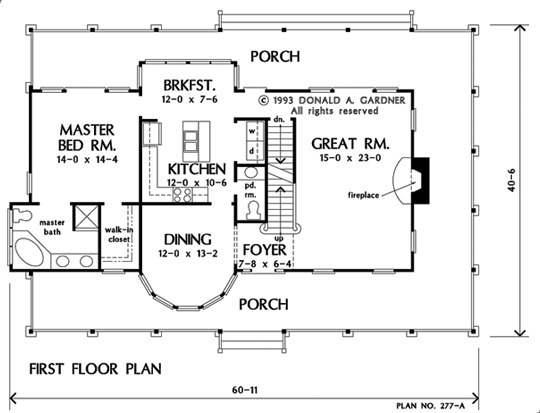 For those who love the relaxed appeal of a home with a large porch, this plan is for you. The porch wraps three sides of the home, offering a shady place to rest and relax after a long day. Inside you'll find a smart layout that includes a large great room, a dining room with a dramatic bowed window, and a main-level master suite. 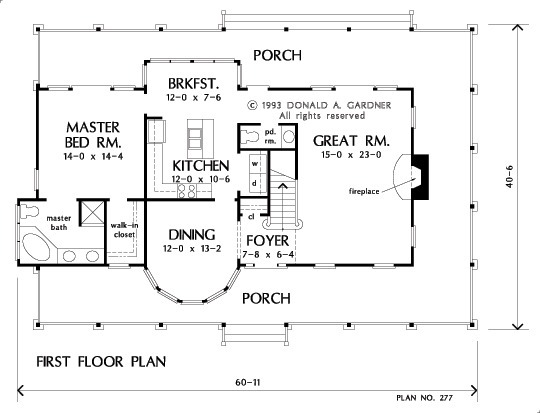 The kitchen is large and included an island; the laundry room is adjacent. 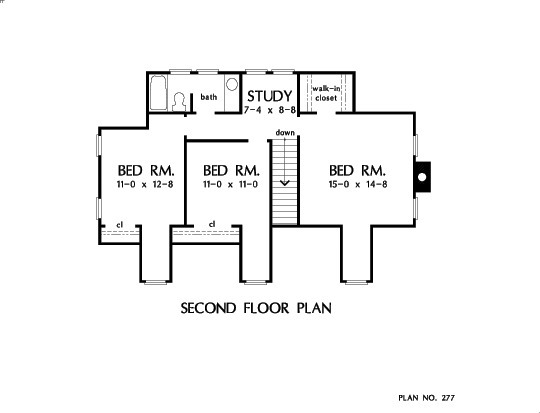 Upstairs are three more bedrooms plus a study area. Great Room: 15' 0" x 23' 0"
Great Room : 15' 0" x 23' 0" x 9' 0"
Bedroom #4 : 15' 0" x 14' 8" x 8' 0"